The brand new 4 star luxury Pestana Chelsea Bridge Hotel Spa opened in March 2010. Offering 216 spacious modern rooms, a designer spa with indoor heated pool, sauna, steam room and professional beauty treatment facilities, 6 well appointed meeting rooms and an international cuisine restaurant and bar. 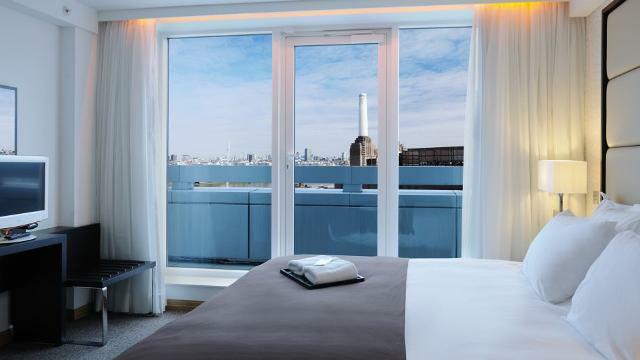 Ideally located, the Pestana Chelsea Bridge Hotel is situated in the heart of the new Chelsea Bridge Wharf, opposite Battersea Park and the River Thames, a short distance from Sloane Square and Victoria tube station and the fashionable Kings Road, Harrods and Knightsbridge areas. Is Pestana Chelsea Bridge Hotel your business?